Buckle up, it’s time to head out on another adventure. And doesn’t it figure? You’re only a few miles down the road and someone says, “I’m hungry.” Don’t worry! We have 3 simple and easy recipes that you can prepare in a short amount of time with only a few ingredients. 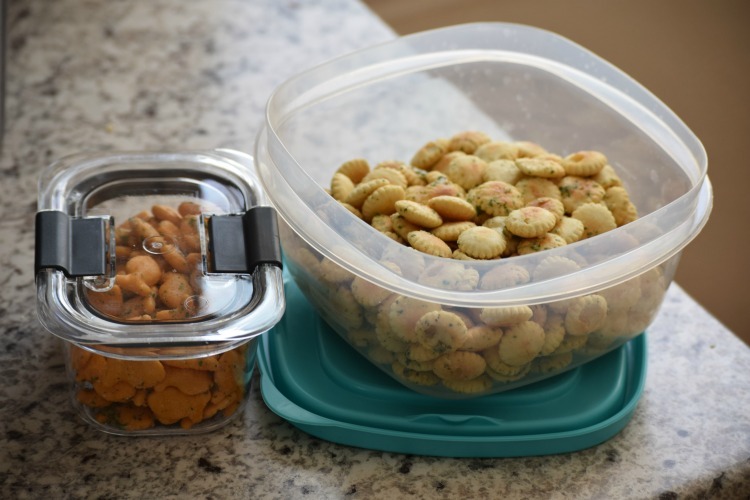 Packing snacks for a road trip can be fun, so get the entire family involved! Road trips are my family’s favorite way to travel. I love having a “mini home” with me wherever we go. I normally overpack our vehicle with everything we could possibly need on our trip. 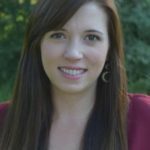 My family would tell you that I’m the list queen, master organizer, and packing champ in our family. This might be true. However, nothing drives me crazier than pulling out of our driveway and one of my kids hollers from the back seat, “I’m hungry”! I took some time to test out snacks that would travel well, taste good, and keep my family happy during our next adventure together. We recently experienced a random snow day here in Texas, which gave me an entire day to play in the kitchen with my kids. 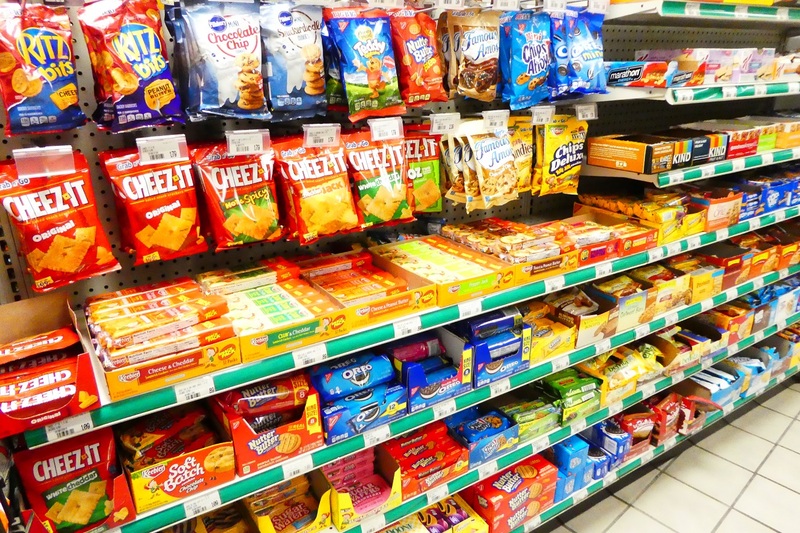 We are sharing with you our top 3 favorite road trip snack recipes! Growing up, I would spend a lot of time at my grandparent’s house. There were two things that I could always find at my grandmother’s house: applesauce and gingersnaps. My grandmother was raised in North Dakota, so I always assumed those were common snacks for northerners. 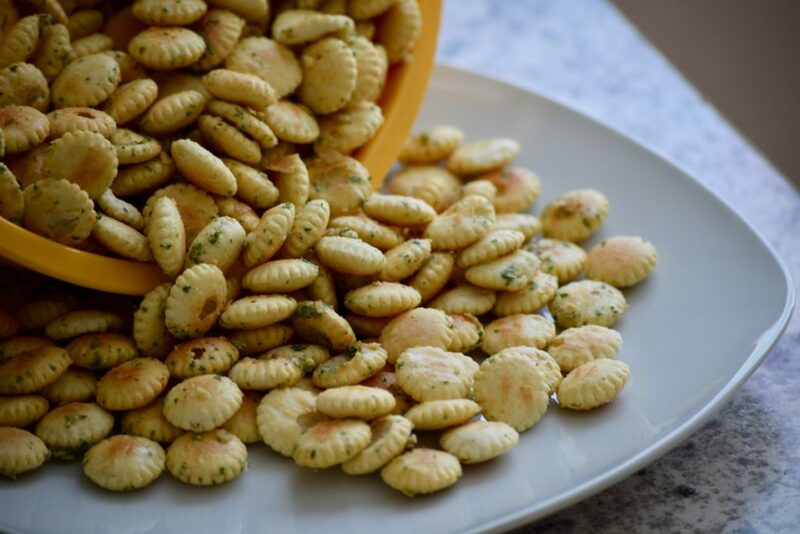 On occasion, she would make these ranch-style oyster crackers. She was the only person I’d ever met who made them. I tried to share these special crackers with my kids, but they were a little concerned about eating anything with the word “oyster” in it. So I adjusted the recipe to include oyster crackers and goldfish crackers. Now I can confidently say this is a crowd-pleaser that travels really well! In a small bowl, add the oil, Ranch Salad Dressing & Seasoning Mix. Stir until mixed. Mix until the crackers are completely coated. 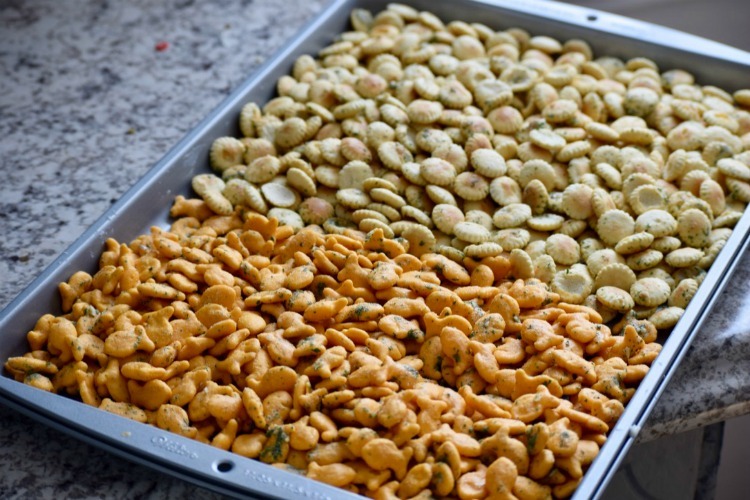 Lay the crackers on an ungreased cookie sheet in a single layer. Bake the crackers for 15 mins or until golden. Allow them to completely cool. 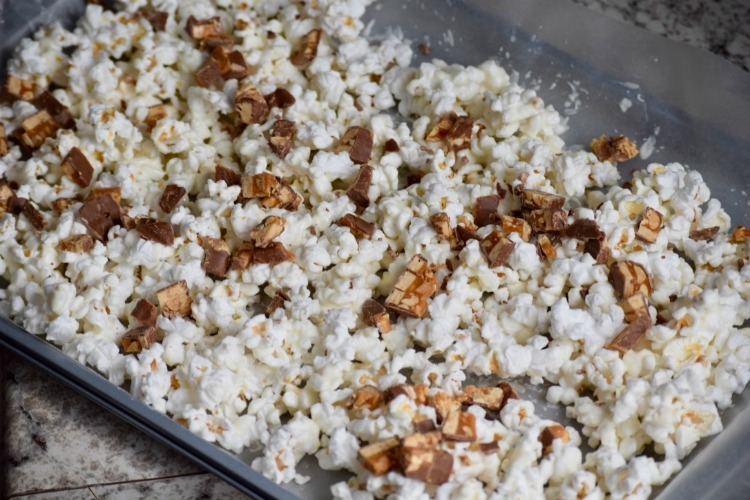 This recipe is a combination of my two favorite foods – white chocolate and popcorn! It’s so easy to throw this treat together. Then I pack it away in individual snack bags so the kids won’t overindulge. (Ok, it’s really so I won’t eat the entire batch). I also love that this recipe can be modified to include your favorite toppings. I had a bag of Snickers I bought on sale a couple of weeks ago and used it as the topping. You can use M&Ms, pretzels, candy corns, sprinkles, and anything else you might think of! Pour into a bowl and discard all the unpopped corn kernels. Melt the white chocolate (stovetop or microwave). Put a single layer of popcorn on the cookie sheet. Pour white chocolate on to the popcorn. Allow the chocolate to completely cool. Sprinkle your topping onto the cooled popcorn. These delicious little power balls are the perfect on-the-go snack. 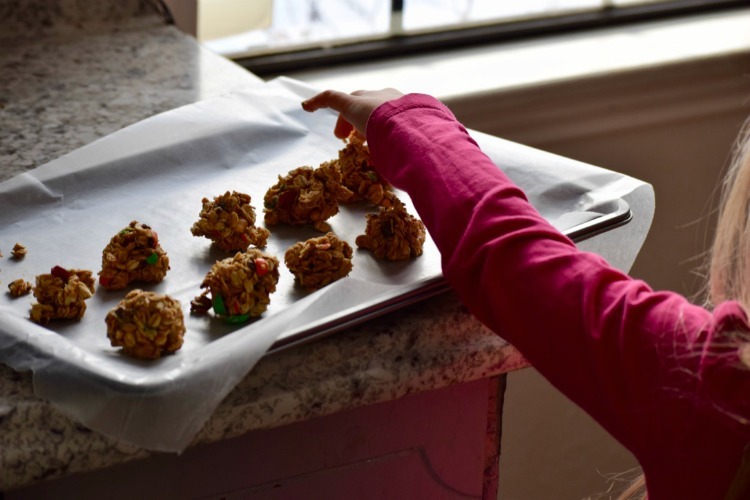 My kids had a blast helping me make this recipe. They loved that they got to cover their little hands in peanut butter. These are best kept in a sealed tight container. We pack them in our cooler and they are equally as refreshing as they are filling! Just like the white chocolate popcorn, you can customize these to include the ingredients you love. 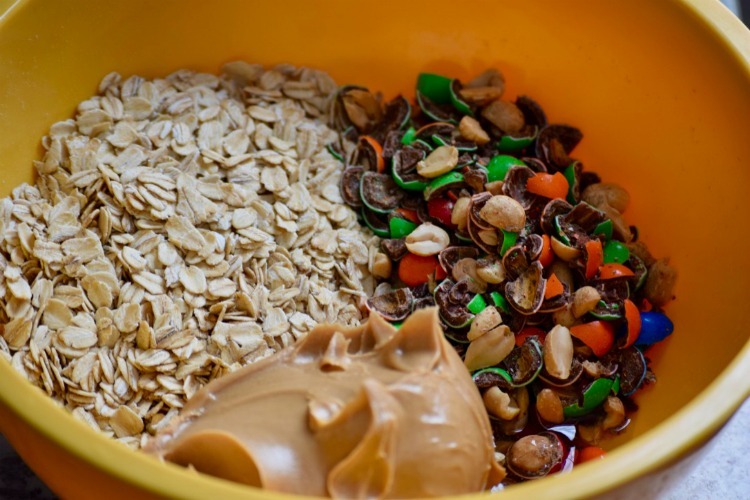 I had some peanut M&M’s that I put into a Ziploc bag and broke into tiny pieces to mix into our peanut butter oatmeal balls. 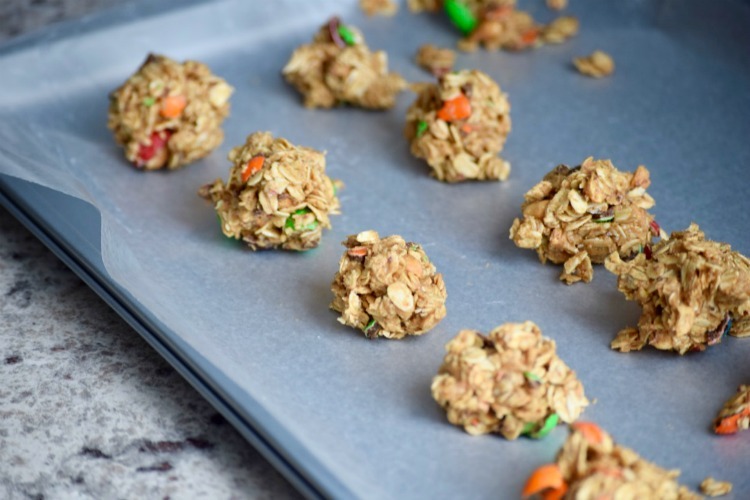 Think of all the ingredients you could use with this recipe to create a new treat each time! You can try using chocolate chips, dried fruit, or even caramel. Mix together all of the ingredients. The mixture should be sticky. Place the bowl in the refrigerator for 20-30 mins. Use your hands to shape the chilled mixture into balls. You should be able to make around 12 balls. Store them in the refrigerator, you can also freeze them. 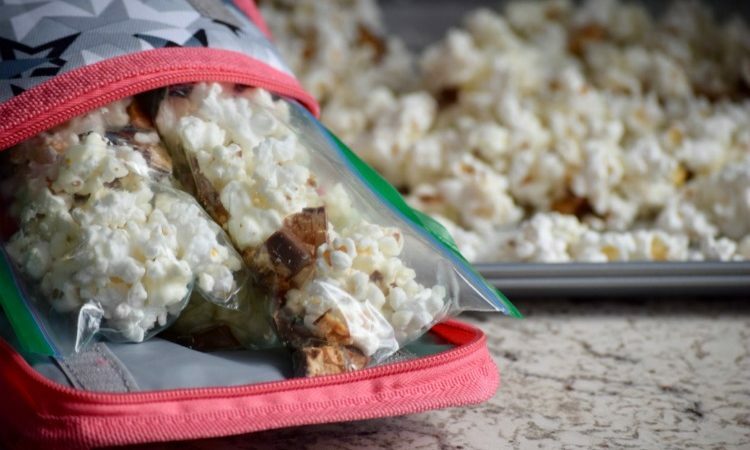 If you like these snack suggestions, you should check out these best road trip snacks for toddlers and 30 potluck recipes that travel well. What about recipes to make when you’re on vacation? Here are 3 simple recipes to cook. If your road trip destination is camping, here is the ultimate family camping packing list and essential camping tips for newbies – including a printable packing list!